Me, several years after the closing of the New York World’s Fair in Flushing Meadows. First things first. Novelist and futurist, Isaac Asimov had a caveat. If the world is destroyed by a thermonuclear war, his predictions would be meaningless. Got it. Since there has been no nuclear war of significance, here are a few of the predictions Asimov made in the New York Times in August, 1964. Asimov visited the huge, big-tent event in the world that year that was not the Tokyo Olympics – the World’s Fair in New York, which happened to be in my backyard of Flushing, Queens. By 2014, electroluminescent panels will be in common use. Ceilings and walls will glow softly, and in a variety of colors that will change at the touch of a push button. A quick search reveals that available in the marketplace is electroluminescent advertising displays (which are paper-thin flexible panels), electroluminescent paint, electroluminescent wallpaper, and something more commonly known, electroluminescent fashion. There is an underground house at the fair which is a sign of the future. Suburban houses underground, with easily controlled temperature, free from the vicissitudes of weather, with air cleaned and light controlled, should be fairly common. The reason Asimov gives for this idea is Man’s urge to control its environment, as well as expand the amount of land to grown more food to feed a growing world population. But another reason will be the Mega-city Trend, the continued massive migration to big cities that puts tremendous pressure on the infrastructure. Singapore, where I lived for a few years, has a population of 5.5 million people on a land mass of 710 square km, a country half the size of Los Angeles. The Red Dot, as it is affectionately called, will be considerably more dense as the government predicts the population to grow to 7 million in the near future. Singapore has built upwards with its skyscrapers, and outwards with land-fill areas, but is now planning underground working facilities on a scale not commonly seen. Designs for the 300,000 square-meter Underground Science City will be 30 to 80 meters below the surface, with plans to hold a working population of over 4,000. Robots will neither be common nor very good in 2014, but they will be in existence. The I.B.M. exhibit at the present fair has no robots but it is dedicated to computers, which are shown in all their amazing complexity, notably in the task of translating Russian into English. It will be such computers, much miniaturized, that will serve as the “brains” of robots. The way Asimov describes robotics, and I suppose, artificial intelligence is far less aggressive than his imagination in his novels. 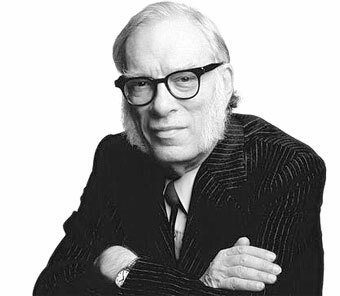 I haven’t read that many Asimov works, but I do know that he was one of the most significant minds behind a philosophical framework or set of rules regarding the relationship between Man and Robot: The Three Laws of Robotics. Additionally, I recall his brilliant character, Hari Seldon in Asimov’s Foundation Series, a man who developed psychohistory, a precursor, to me, of what we now call Big Data. If you want to watch something historic, as well as geeks geeking out, here’s an incredible video of IBM’s Watson beating two humans at Jeopardy. The two humans are Jeopardy champions. Much effort will be put into the designing of vehicles with “Robot-brains” vehicles that can be set for particular destinations and that will then proceed there without interference by the slow reflexes of a human driver. I suspect one of the major attractions of the 2014 fair will be rides on small roboticized cars which will maneuver in crowds at the two-foot level, neatly and automatically avoiding each other. Two obvious parallels to today’s technology: self-driving cars, which are all the rage, as well as maglev technology. By 2020, there are some who claim that Japan will have significant driverless transportation on the roads when the Olympians arrive. The maglev train, which is already operational in Shanghai, will connect Tokyo to Osaka in an hour, achieving a speed of 500 kph, although it won’t be in operation until 2027. Posted in Business, Japan, Others, Tokyo 1964, Tokyo 2020 and tagged 1964 Worlds Fair, electroluminescent technology, Foundation Trilogy, Hari Seldon, IBM, Isaac Asimov, Jeopardy, maglev, predictions, robots, self-driving cars, Singapore, three laws of robotics, underground cities, Underground Science City, Watson. Bookmark the permalink.